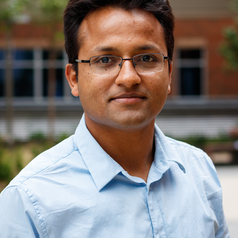 Rahul is a Research associate with the Public Health Modelling group at CEDAR. Rahul completed his PhD at the Transportation Research and Injury Prevention Programme at the Indian Institute of Technology, Delhi. With a transport planning background, Rahul developed methods of data collection and modelling to estimate public health burden of transport, with Delhi as a case study. His main thesis outputs included a) data collection and statistical methods to estimate vehicular characteristics of on-road modes, b) dynamic bottom-up traffic emission inventory model, c) on-road exposure of PM2.5 pollution in 11 transport modes in Delhi, and d) space-time integrated PM2.5 exposure assessment at population level. Rahul is currently working on TIGTHAT project, which will lay the scientific foundations of a health impact assessment tool that will estimate health impacts of transport choices applicable in a wide variety of urban settings around the world. Within this project, he is a) testing the use of Google Street View to estimate travel patterns, b) analysing road traffic injuries in low- and middle-income settings, and their association with travel patterns, and c) studying how cycling behaviour varies across cities in the world.